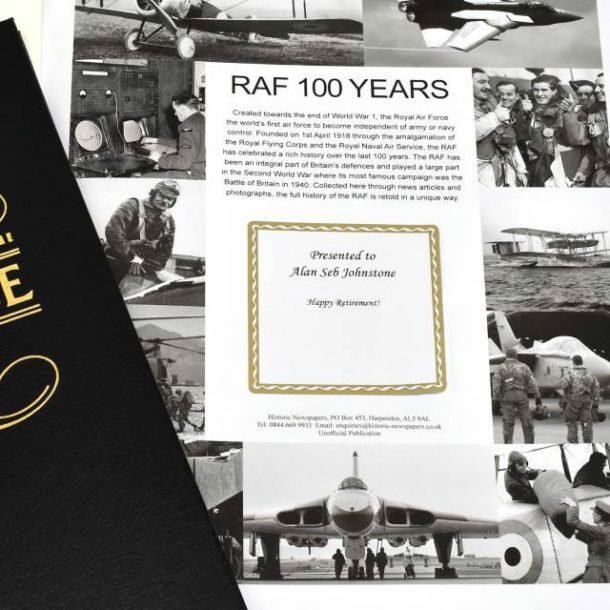 This Personalised RAF Pictorial Newspaper book is a high quality gift that covers the 100 year history of the Royal Air Force. 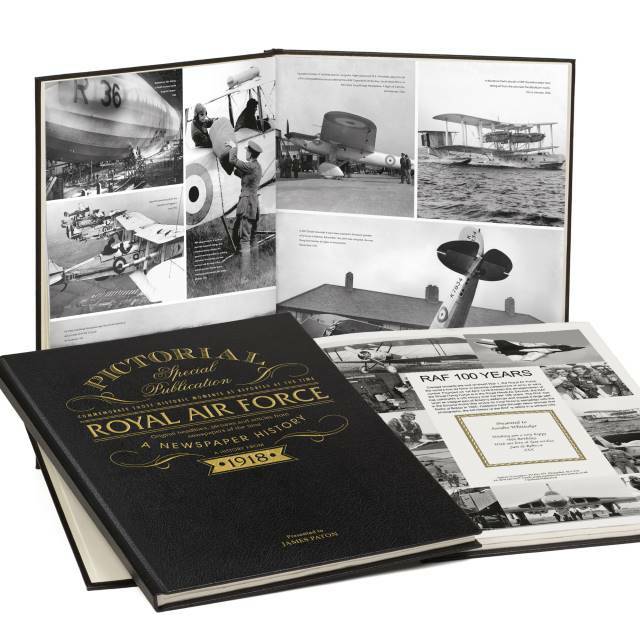 A premium, A3 book that opens an incredible window into the oldest independent air force in the world, and is a great read for any aviation enthusiast. 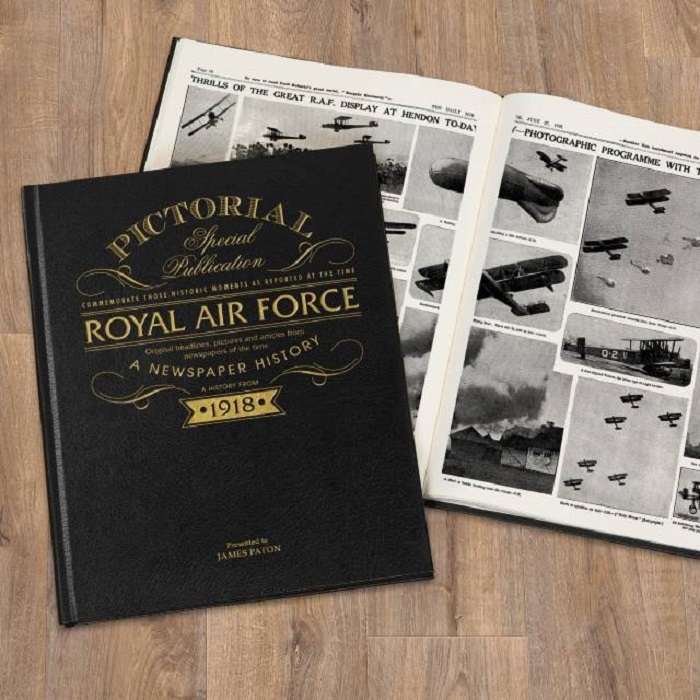 Using articles and iconic images scanned from original newspapers, there’s around 160 pages of coverage inside that sets the bar for documenting the RAF, and also to celebrate there 100th Anniversary. The book features newspaper articles and pictorial sections, with articles from 2006 on-wards printed in colour. Contents included inside this leather bound book, include His Majesty King George V inspecting the newly inaugurated RAF fleet, the famous ‘Vulcan Victory’ during the Falklands War, and the many accounts of heroism during the Battle of Britain in 1940. Additionally, the front cover of the book is gold embossed with the recipient’s name, and it will also appear alongside a personal message on the title page. 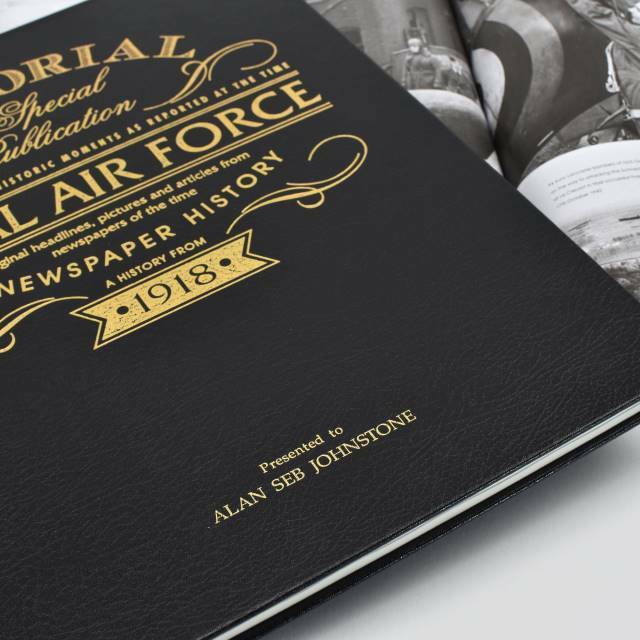 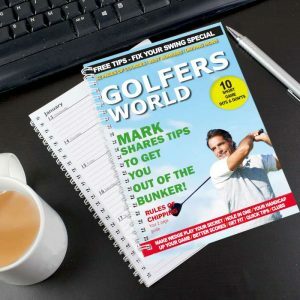 You can personalise the books cover with any name up to 22 characters long, and a personal message from you will be printed over 5 lines of 30 characters on the opening page. 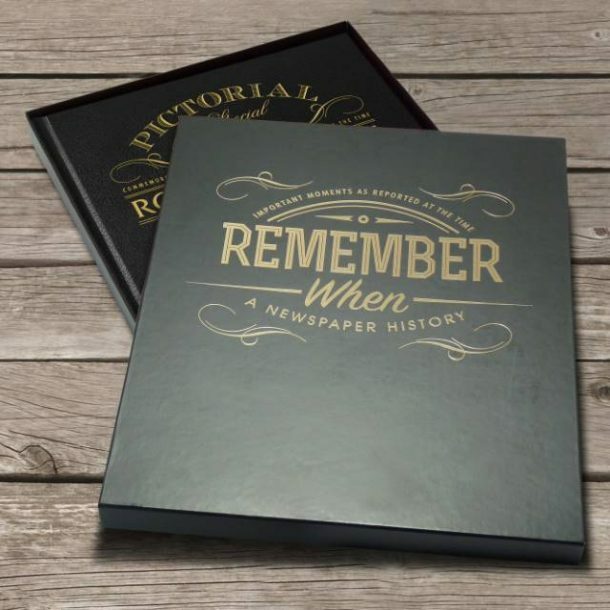 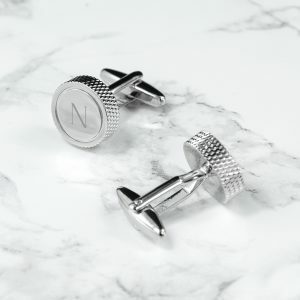 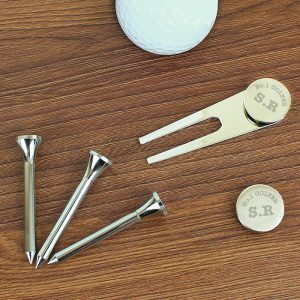 The name will be embossed on the front at no extra charge to you, and each edition is presented in a Remember When gift box, also included in the price. 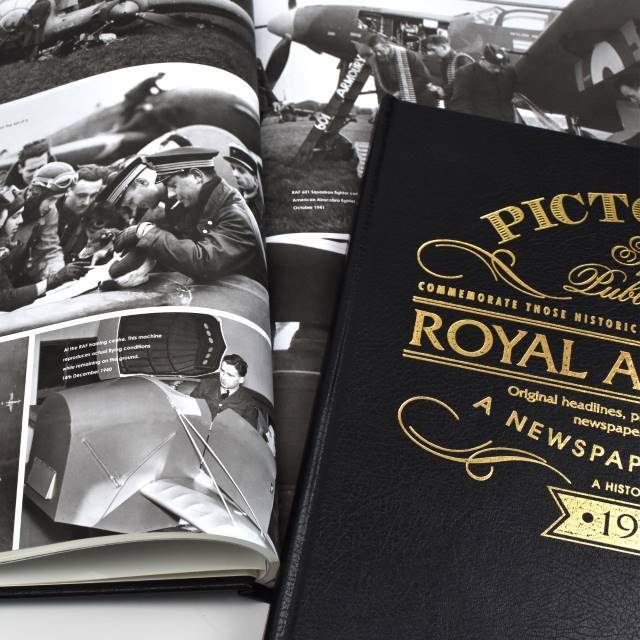 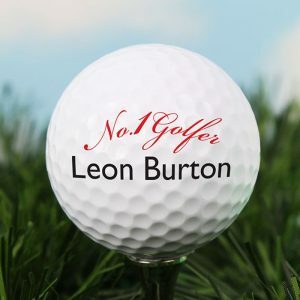 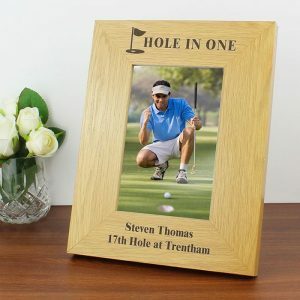 A personalised book that would make a fantastic Father’s day present, or Christmas gift. A brilliant milestone Birthday present for grandad, and if you’re wondering what to get your husband for a Wedding Anniversary gift then this book is superb if he’s a fan of history. 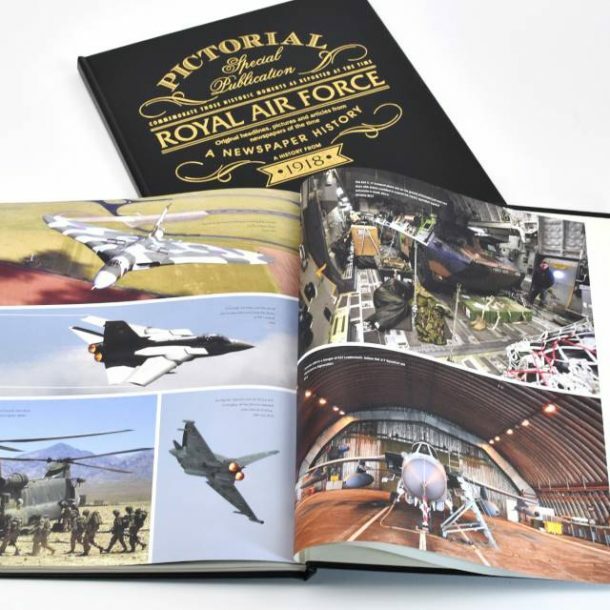 A must have personalised book and read, a fantastic keepsake he can look back on time and time again.